Whether you plan to serve four or 2,000 residents, cluster mailboxes or cluster box units (CBU) provide a flexible solution to accommodate your building project needs. 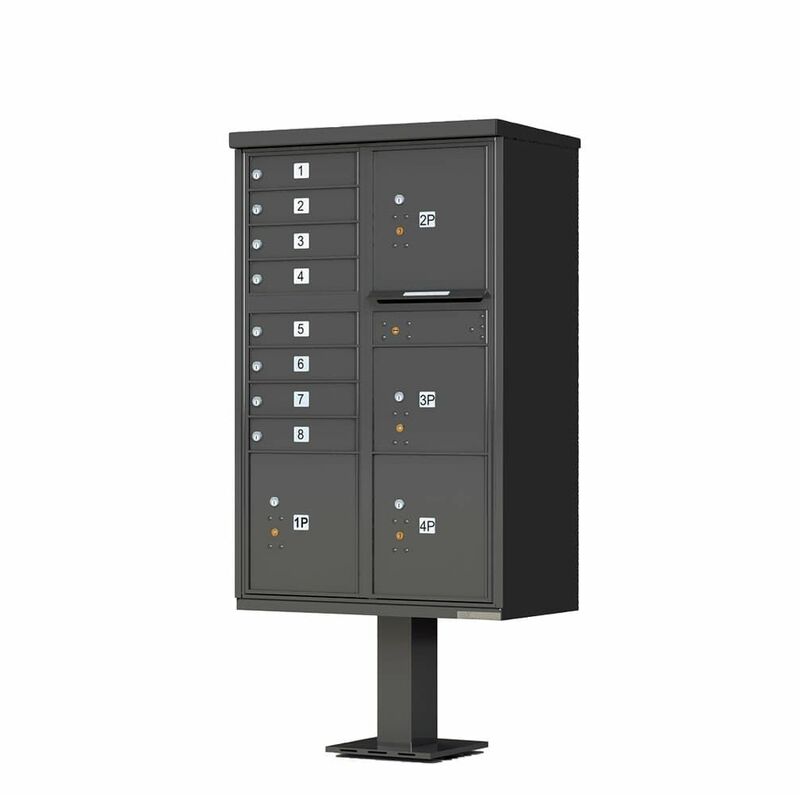 These standard stock units include parcel lockers and outgoing mail collection to be used individually or in larger group installations - all providing a convenient, secure method of mail and package delivery to residents in a centralized location. Simply select the pre-configured unit(s) that has the best options for your residents. All vital™ Cluster Box Units include a pedestal to ensure compliance with USPS installation regulations and are available in six architectural colors. *Postal Grey is available for replacement only. Colors shown here may vary slightly due to variance in computer monitor; powder coat painted aluminum chip samples are available by request.